Pronounced yellow color with greenish reflections. Attractive and intense spicy aromas of vanilla and nuts are interwoven with abundant fruity notes of peach, followed by citrus, with an emphasis on grapefruit and lime. The flavor is extremely rich and complex. Full and slightly creamy on the tongue, while at the same time expressed great freshness. At the beginning of palate, creaminess and fullness dominating with slightly spicy notes of oak. Then, in the middle, lively acidity and fresh fruitiness give a decisive contribution to the charm and complexity of flavours. At the finish you will notice that the body and strong alcohol are spreading through gentle sensation of warming down the palate. 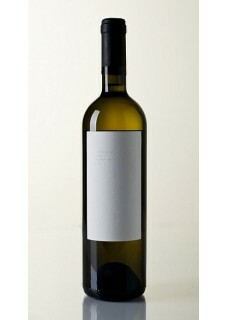 Afterteaste marks a game of a great balanced and vibrant acids with spicy notes like hazelnut. Food pairing: Dark fish or grilled fish with intense flavors, seashells.